Licensing Manager: Joe Runge, J.D., M.S. 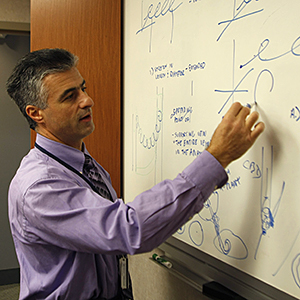 Ben Boedeker, M.D., Ph.D., D.V.M., M.B.A. When emergency staff are challenged with a trauma patient that needs to be intubated, they must act swiftly. If the patient suffers from abundant bleeding of the mouth, aspiration, or vomiting the airway view could be obstructed. 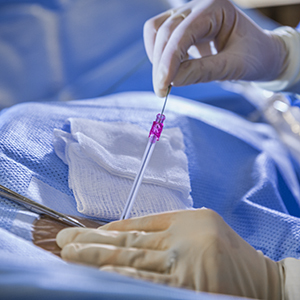 While standard tubes are used for suction, specialized suction may also be necessary. In addition, for a patient needing intubation, it may also be worthwhile to blow oxygen. Dr. Ben Boedeker of the University of Nebraska Medical Center has created a solution to the above-mentioned problems. 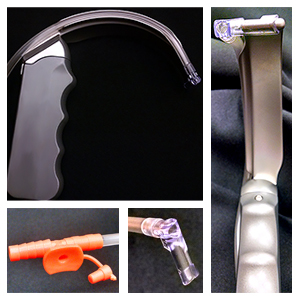 The Boedeker Suction Catheter is unique as it can be customized to fit any manufacturer’s blade, it integrates into the blade channel to keep it out of the way, and it does not only provide suction but can also blow oxygen to aid in managing the airway. The medical practitioner utilizing the device can also control the rate of flow or suction. In addition, 100 percent of anesthesiologists who surveyed the device stated they would like access to the technology. They would also be very likely to use the device if they had it in their repertoire. Moreover, according to Emergency Medical Services magazine (EMS World), the Boedeker Suction Catheter was one of the 20 most innovative products of 2015. 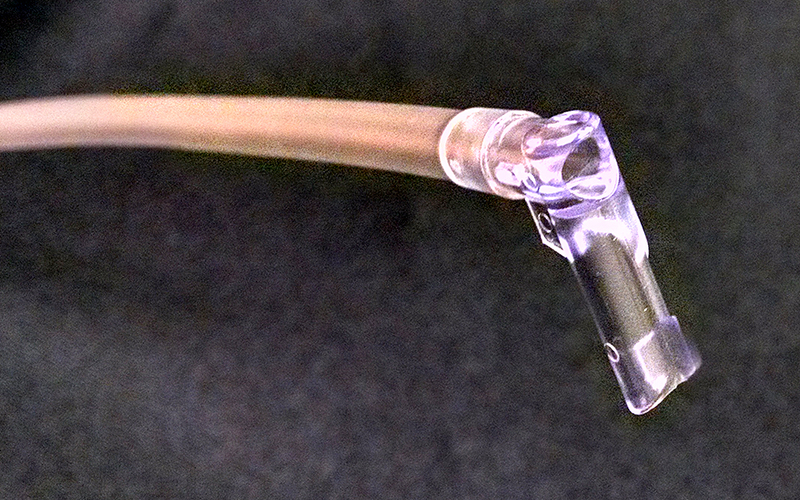 The Boedeker Suction Catheter is currently produced by Truer Medical. To discuss licensing opportunities please contact Joe Runge, J.D., M.S., at hrunge@unmc.edu or 402-559-1181. Annually, an estimated 15 – 20 million intubation procedures are performed in the U.S. alone. In order for these intubations to be successful they require the airway to be secretion and blood free. However, this ideal condition does not often exist, and can increase the risk of aspiration in an already difficult intubation where the practitioners view is subsequently obstructed. Difficult intubations are always a problem with patient desaturation and alternative methods to aid in securing the airway should be instituted as soon as possible. Unfortunately, the existence of better devices to clear the airway view are necessary. 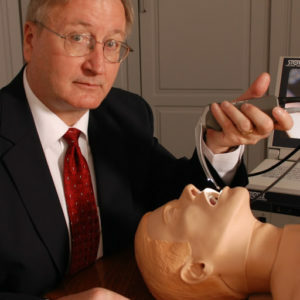 Dr. Boedeker has however developed a unique suction catheter to aid in viewing the airway during traumatic and difficult intubations. Additionally, the device can be used to insufflate oxygen and treat a patient with a nerve gas injury. 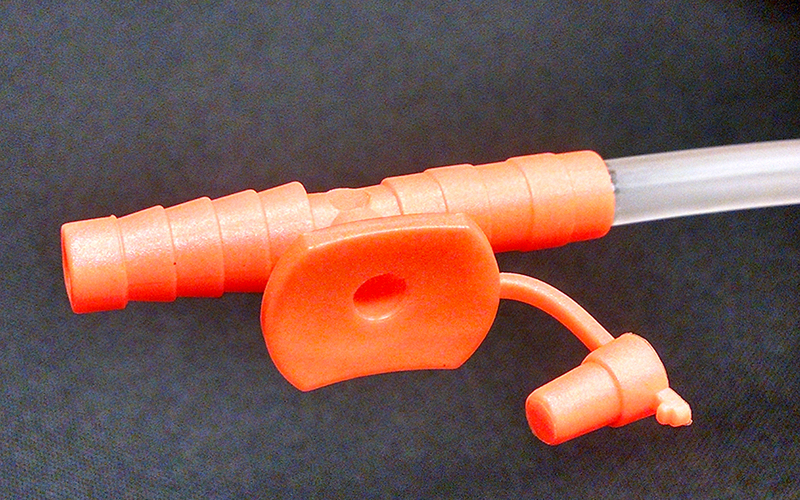 The Boedeker suction catheter is designed to be single use and disposable. 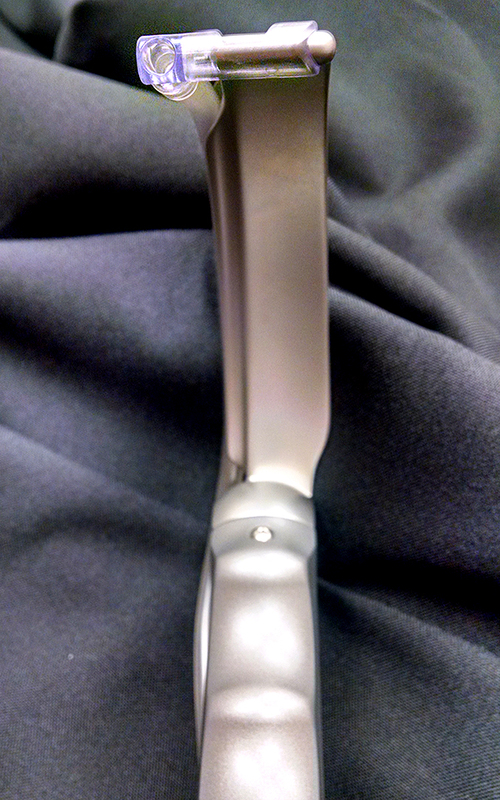 It consists of a porous tip that can be customized to attach to any laryngoscope blade, a port for continuous or intermittent suction or insufflation of oxygen, and design to allow it to fit into the channel of the laryngoscope blade. In one study of the device utilizing 15 anesthesiologists, 100% of doctors stated the device improved their view of the glottic opening and did not impede their visualization of the airway. Ninety-two percent of doctors stated the device did not impede their ability to insert the endotracheal tube. Eighty-seven percent of doctors stated they would like the device on their airway cart. 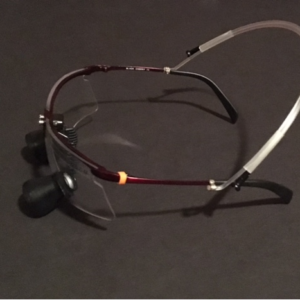 Utilizing 18 additional anesthesiologists, a secondary study was conducted to establish that the problem this device solves actually exists in the field and that the device solves that problem. In the study, 89% of doctors agreed it can be difficult to intubate in the presence of fluids obstructing the airway view. One hundred percent agreed that it is important to remove fluids obstructing this view. Seventy-eight percent stated they would be motivated to solve this problem. Ninety-Four percent stated that the device would solve the problem with 6% remaining neutral. However, 100% stated they would use the device.